I just read an article from Mediakix entitled 'Are Fake Instagram Influencers Deceiving Brands?' The company ran an experiment to see if it could create fake influencers that actually received solicitation from advertisers. Not surprisingly, it succeeded - they created two profiles featured below and received ad offers from a swimsuit company, a national food and beverage company, an alcohol brand and others. 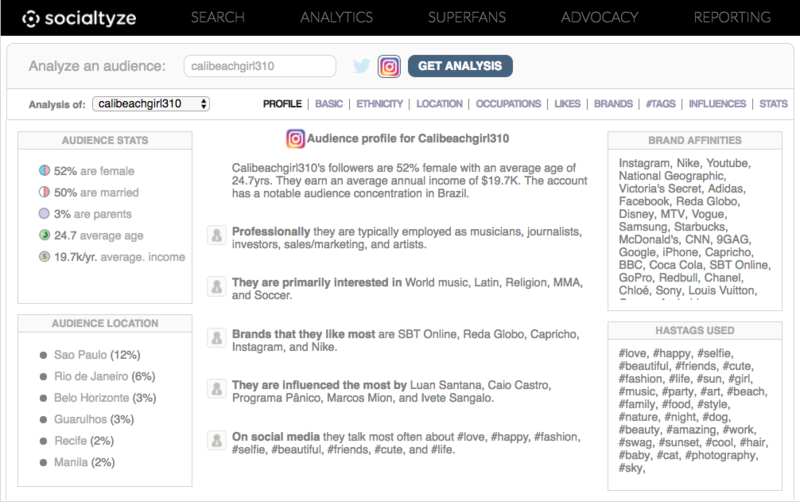 Below are the fake accounts (CaliBeachGirl310 and Wandergggirl) that the company produced. Kudos to Mediakix for running this test, as it brings attention to a major issue with fake influencers, as well as the manner in which many brands and agencies are managing their campaigns. Must be good to go, right? Actually, far from the truth. 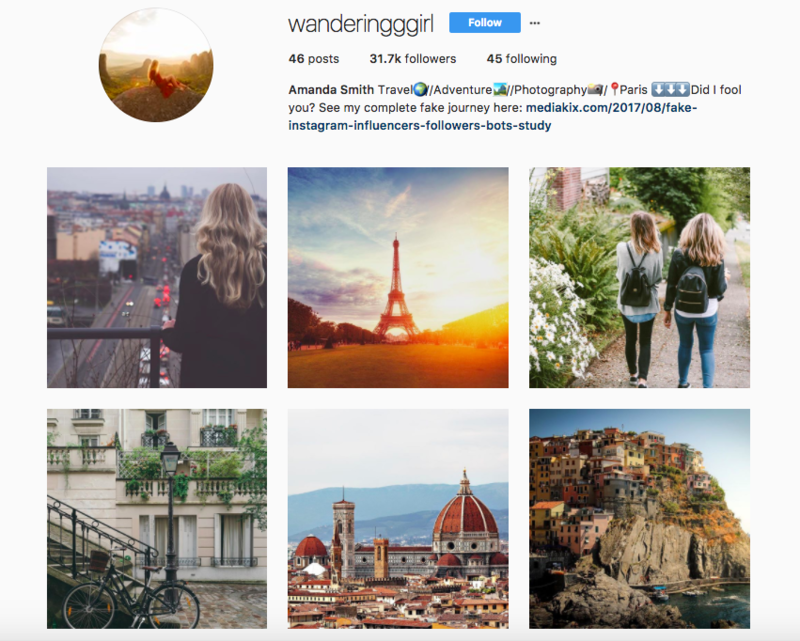 Why do brands and agencies hire influencers without looking at their followers? No one buys TV spots without assessing who is tuning in. Influencer Marketing is no different. By using technology that taps into the Instagram API, we can see the behavioral patterns of the followers with regard to where they live, what they like, tag, engage with and post. The data is extremely accurate and detailed in analyzing the followers. Location: 90% from Brazil, 45x the Instagram avg. Angola is >100x the Instagram avg. Ethnicity: 90% Portuguese, 43x the Instagram avg. Age/Occupation: 45% are younger than 18, yet 21% of them or 67x the Instagram avg. are "investors"
Once these lists are pulled, it only takes a second to realize the influencers' followers are fake. For example, below is a snapshot of some of these followers, including a fake model who says "I live life for a living" (whatever that means). 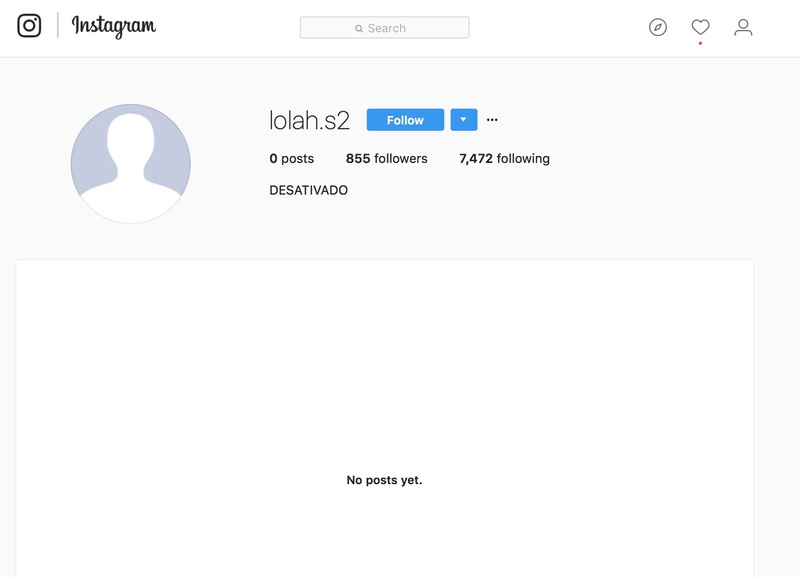 I love the next fake fan - DESATIVADO - who has somehow acquired a following of 855 friends, despite the fact that he's never put up a post. I think he's too busy following and engaging with other accounts. 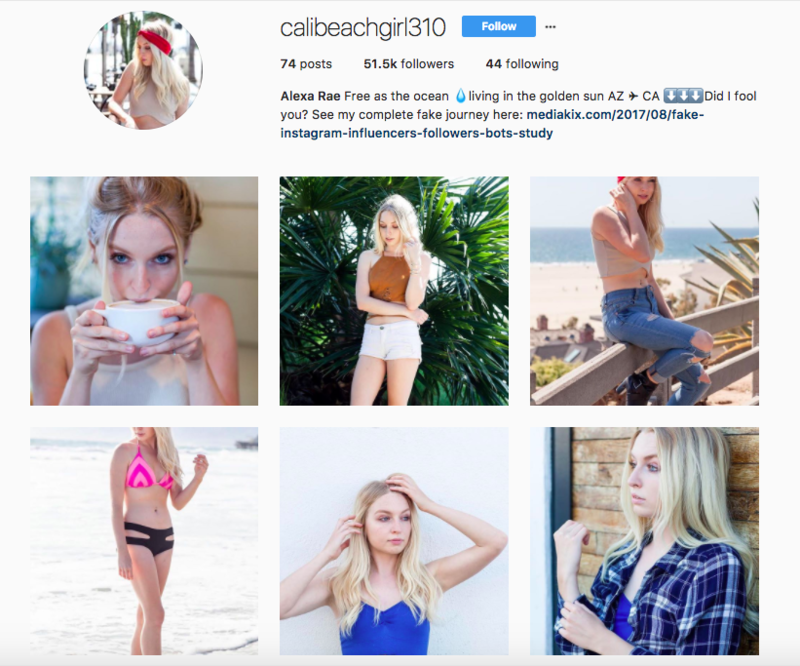 So, what should marketers do to build out the right influencer marketing strategy and avoid getting burned by these fake accounts? The answer's quite simple - they need to either build out an in-house team with deep expertise and a suite of influencer technology, or hire the right company to do so for them. Influencer Marketing is a multi-billion dollar industry and is arguably the fastest and hottest growing ad medium today. Selecting the right team, and allocating the right budget, is critical to capitalizing and understanding this new process.